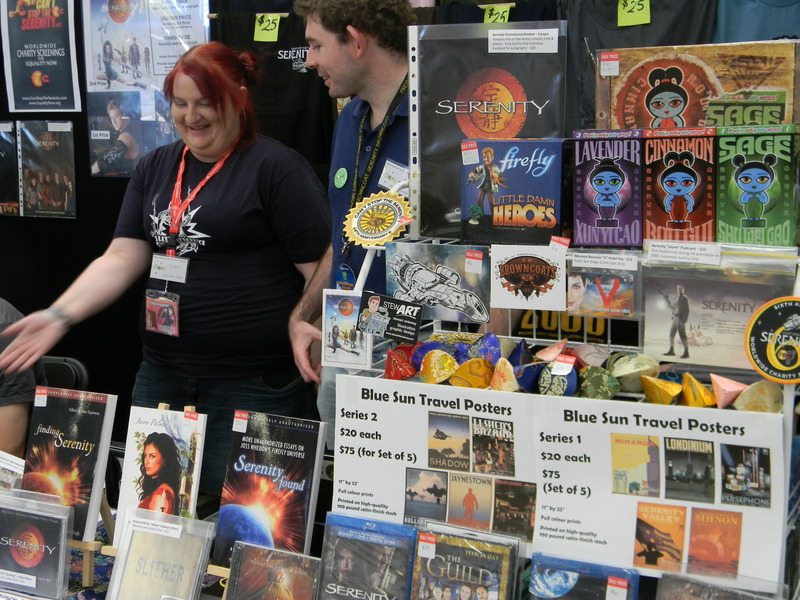 The Browncoat Charity Booth was at the Supanova Pop Culture Expo for the first time on 27-29 March 2009. While there where no guests from the Whedonverse at the convention, it was still a blast! It was great to see so many awesome people, and to chat with folk. In addition to our range of Firefly, Serenity and Whedonverse merchandise, we also held a raffle to aid the Country Fire Association which raised $1,000! Thank you to everyone who participated! 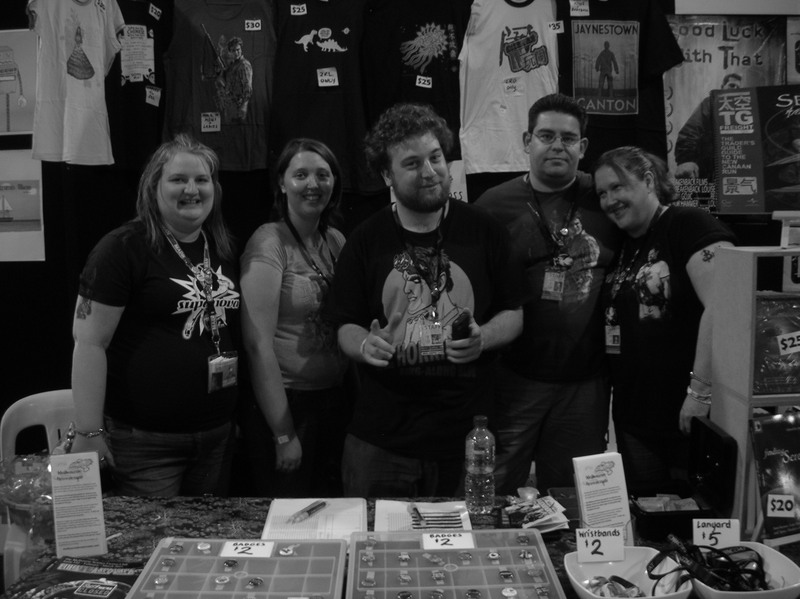 Since then, we’ve been a regular face in Artist Alley, promoting Firefly, Serenity and other Whedonverse projects, offering an awesome range of Whedonverse goodies for sale and raising money for charities such as Red Cross and Autism Victoria.